Mansa Devi Temple is a celestial home of Goddess Mansa located in Haridwar, one of the holiest places in India. The beautifully-designed temple is located on the top of Bilwa Parvat. Bilwa Parvat is a part of Sivalik Hills. 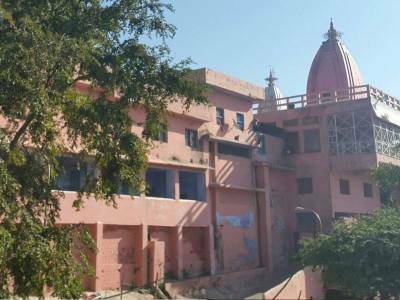 And that’s why Mansa Devi temple is also known as Bilwa Tirth. Being one of the five most holies of Haridwar, this temple is said to have emerged from Rishi Kashyap’s mind. According to the popular belief Mansa Devi has been regarded as the sister of the Naga Vasuki and this temple is believed to be the holy abode of Mansa Devi. In Sanskrit, Mansa is a Sanskrit word which means mental power or spiritual mind. A thousand of devotees visit Mansa Devi’s temple every year. It is believed that Devi Mansa answers all sincere prayers of every sincere and ardent devotee. They offer coconuts, fresh fruits, flowers, garlands to worship Devi. 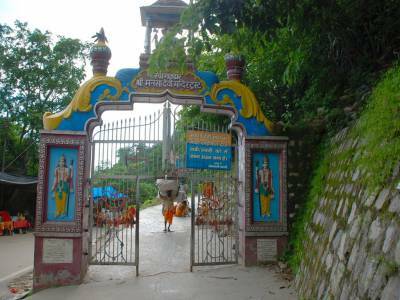 Apart from being a holy place, Mansa Devi temple is one of the most wonderful tourist attractions of Uttarakhand as well. This place gets flooded with pilgrims and tourists during Navratri. There are two ways to reach the place. 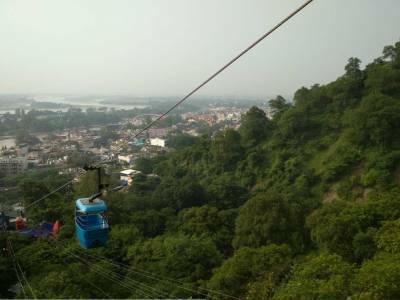 One can trek one and half kilometre uphill or they can avail cable car known as “Mansa Devi Udan khatola” that carries the pilgrims from the lower station directly to the Mansa Devi Temple. The total length of the rope-way is 540 metres (1,770 ft) and the height it covers is 178 metres (584 ft). 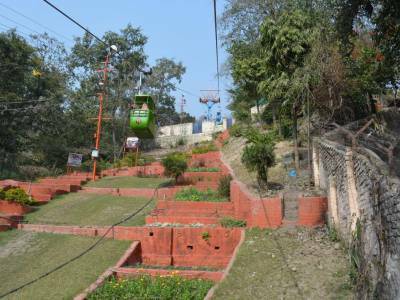 If one can want to avail a rope-way or cable car facility should buy combined tickets for Mansa Devi and Chandi Devi. Accommodation in Haridwar are in plenty. There are many Guest Houses, Dharmshala’s, Ashrams and Budget hotels. 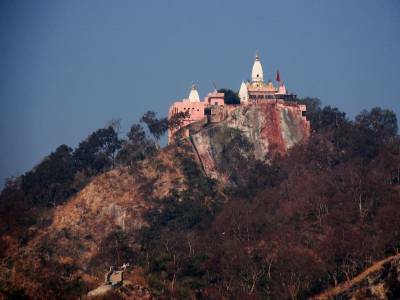 The Mansa devi tempt just about 3 KM from Haridwar. Get quick answers from travelers who visit to Mansa Devi Temple.